Westfield car tuning tips and advice. We have a wide range of tuning articles covering all models of Westfield from small bike engined cars to large V and turbocharged engines. Following our tuning tips you will avoid many of the common mistakes and actually achieve the car setup you desire turning your Westfield into a Super 7 beater. Please join the forum for model specific questions and answers and to meet other owners and see what modifications they have done. 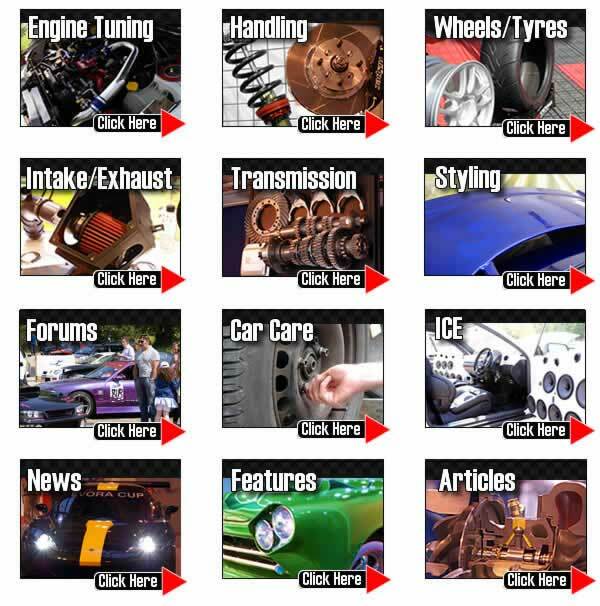 TorqueCars started providing Westfield tuning advice, car performance part and car modification tips and pointers back in 2003 and have grown from strength to strength with a fast growing membership of all types of cars including many, Westfield owners. We are currently one of the fastest growing car tuning clubs around and certainly one of the friendliest. Our Westfield tuning features with performance tips and information on peformance parts for your car get updated so for the hottest Westfield tuning,performance part and modification advice, tips and pointers please check back regularly. We strongly recommend that you join our Westfield forums and swap tuning ideas with like minded Westfield owners in the tuning forums. If you are have a Westfield tuning project underway we would love to hear about it, the Gallery section in the forum contains some interesting Westfield projects already. Scroll down the page to see our latest tuning articles for your Westfield. The basic reason for forced induction (turbo or supercharger) is not to increase compression or the maximum pressure in an engine cylinder, it is to increase volumetric efficiency (the efficiency of the engine at drawing in air) although forced induction is the most effective method of upping compression. In computer games we just tick a box, and within seconds our car is fully turbocharged and running much faster. In the real world things are very different. In a performance engine you should never underestimate the need for adequate cooling. All water cooled cars work on the principle of water being pumped around the engine and then to a radiator where it releases the heat. Most water pumps are mechanical and run off the crank.